Watch our 2018 highlights video on YouTube. We are an independent ultimate frisbee team open to girls and boys in the 2nd-8th grade living in Falmouth, Maine. 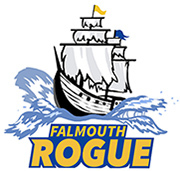 We have no official affiliation with the Falmouth Middle School or the Falmouth Rec. Department (though we’re big fans of both!). Contact coach Shea Gunther at sheagunther@gmail.com. The Callahan Award is the highest honor a college level ultimate player can receive. Each season candidate players and their friends create nomination highlight reels that they share with judges and the world-at-large. Here are a couple of great ones to get started with. Max Thorne for Callahan 2015 from Joseph Bender on Vimeo.